Global Managing Director, McKinsey & Co. The strength of any great business school lies not only in its ability to teach students the fundamentals of management, finance, and other traditional disciplines, but also in the School’s ability to attract world-class leaders to speak on campus and share their ideas and experience with the next generation of business leaders. The David and Lyn Silfen Leadership Series represents a distinct competitive advantage for Columbia Business School in this effort - a unique partnership between students and top executives. 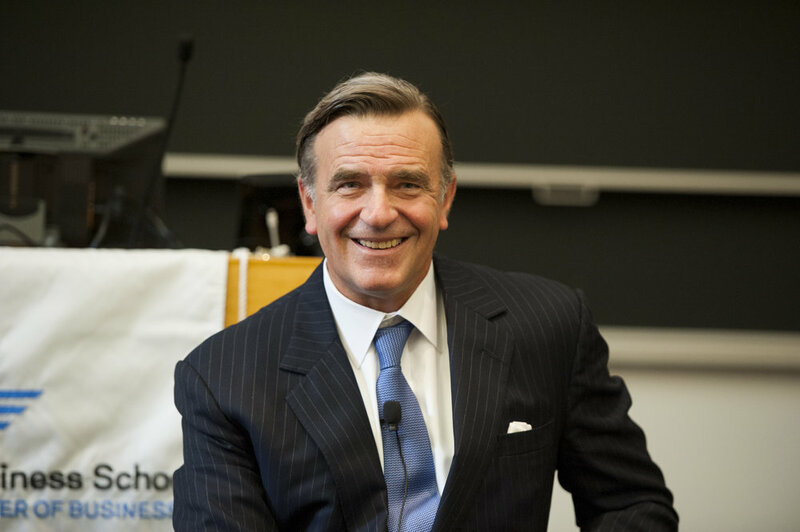 The leadership series is an unparalleled learning opportunity for the entire Columbia Business School community, attracting renowned business leaders from around the world to provide a forum for students to exchange thoughts and ideas with the most important people in business today. These leaders share innovative ideas, leadership styles, and personal philosophies with our students. The series has established its reputation among students and corporate executives alike for attracting top business leaders from New York and around the world to the School.